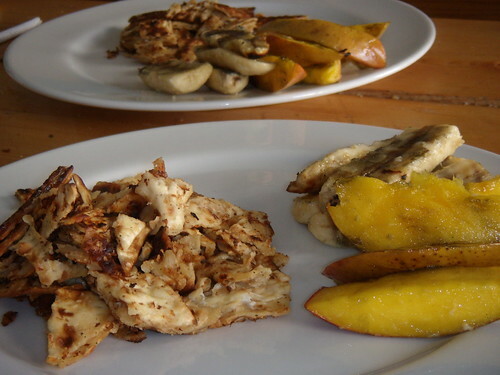 matzo brei and grilled fruit, originally uploaded by aarn! +20th April, 2008+. grilled up the mango and banana after tossing it in an orange and almond simple syrup. the matzo brei didn't turn out as well as it could have, i hadn't made it in a long time.